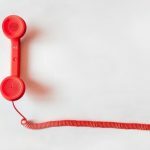 Have you ever been driving and come across multiple billboards on the side of the road with various different lawyers offering different solutions? Billboards are a great advertising technique, and anyone’s money can buy them. But money can’t buy experience. Local law firms may not have billboards on the side of the road painted with a phone number and a promise, but they know you. They know your town. Often, they’ve grown up in the very place in which they took residence. They go back to their roots, because they love their hometown. They love the people there and they love serving those people. They understand the amazing feeling it is to help their community. Proximity: local law firms are just that- local. They’re close and convenient. There’s no need to drive to a whole other city or to a downtown area to get a good lawyer. Relationship: as stated, local lawyers often choose their location based on the community they grew up in and therefore love. Local lawyers truly have a passion for helping people and maintaining relationships with them. Experience: just because they’re local, doesn’t mean these firms lack experience. 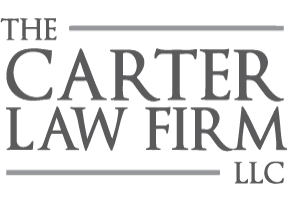 The Carter Law Firm, LLC has over 30 years of experience with helping people like you. We have extensive litigation experience and are prepared to be with you through the entire case. Come to The Carter Law Firm, LLC to experience what a difference a local, family operated legal team can make.